Home Business Is Mergers & Acquisitions Imminent in Banking Sector? Is Mergers & Acquisitions Imminent in Banking Sector? As the country’s economic challenges, headlined by shortage of foreign exchange (FX) and a ‘technical recession’, continue to take their toll on the banking sector, there are suggestions of merger and acquisition (M&A) in the sector. The Central Bank of Nigeria (CBN) has however assured that no bank in the country is in distress or likely to enter into the distress mode. The latest discourse on possible merger and acquisition in the nation’s banking sector is not new. It was first mooted earlier in the year in the wake of the currency challenge that birthed the debate on whether or not to devalue the naira. At the time, the concern was largely premised on the FX challenge and huge exposure of the sector to the energy sector, which it granted loans to in previous years. Globally, M&A has always resulted in a more efficient banking system. The benefits of M&A are manifold and could include increased value generation, increase in cost efficiency and increase in market share. The benefits of M & A are the main reasons for which the companies enter into these deals. M & A may generate tax gains, could increase revenue and reduce the cost of capital. No doubt an efficient banking system is known to contribute extensively to higher growth in the economy. In Nigeria, indices including confidence level, capitalisation and solvency level show that Nigeria benefitted tremendously from the consolidation that took place in the sector in 2005 after the apex bank mandated all banks to raise their capital base. But while the last consolidation exercise in the sector that saw to the mergers of some banks and acquisition of others were regulatory driven, the looming M&A in the sector would be market driven as some of the banks may be forced to adopt the strategy as a survival measure in the face of the economic headwinds that the country is experiencing. It will be recalled that during the consolidation exercise, the number of money deposit banks (MDBs) in the country came down to 23. Today, the headwinds that prompted the prediction of another round of M&A in the banking sector earlier in the year have not significantly abated. Rather, banks are faced with one or two fresh issues that appear to be forcing the M&A option in their gaze. A few financial sector insiders had stated in February that if the naira loses another 20 per cent in value against the USD it would trigger a wave of merger in the country’s banking sector. Interestingly, the naira has lost double that figure against the USD since devaluation in July, according to a Reuters report. The banking sector is also faced with potentially problematic issue of huge USD denominated exposures which is 42 per cent of total loans granted by the banks. 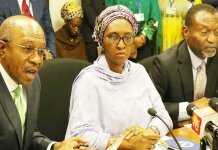 The current FX shortage and a widely held view in the sector that if the naira weakens further the loans are likely to become a problem for the banks then leads to the fact that a further significant fall of the naira would force the banks to recapitalise in order to remain within the financial regulatory limits. However, the current low valuation of banking stocks makes the option of recapitalisation not very attractive leaving the banks with the options of mergers and outright acquisition. In what signpost this shift, investors have been selling off banking stocks even as many banking stocks have been trading at far below the prices they used to command. This is besides that the banks also have the issue of Non-performing loans to contend with. Non-performing loans are expected to rise to 12.5 per cent of the total exposure of the sector in 2016, above the CBN target level of five per cent last year, according to Nigeria’s main rating agency Agusto & Co. All of these point to tough times for the banks. Investors, especially foreign investors, are also mindful of the prediction of a 1.8 per cent contraction in the Nigerian economy by the International Monetary Fund (IMF). This is another source of concerns that may make recapitalisation a tough call among banks when the need to shore up liquidity becomes imminent. In reaction to the tough operating environment, some banks have begun to adopt various cost cutting measures. Against the urging of the National Assembly not to lay off staff, some of the banks have been reported to have downsized their workforce, shut down branches and slashed earnings forecasts in a bid to remain in business. It will also be recalled that the CBN had stated in the past that it was monitoring a couple of banks without naming the said banks. Speaking with THISDAY, Executive Director, Corporate Finance, BGL Capital, Olufemi Ademola, explained that M & A is part of a normal business practice and argued that it offers economies of scale and increases profitability. He also noted that even though M&A in Nigeria’s financial services sector are regulatory driven as against market driven, the sector is likely to witness both regulatory and market driven M&A in the financial services sector. Economist and research analysts, Rotimi Oyelere, agreed with Ademola as he argued that M&A fosters efficiency and reduces regulatory risks. “The tough operating environment and the increasing competition in the sector would drive the need for M&A. In addition, the need to keep a dynamic, lean and highly skilled workforce may also lead to market driven M&A. “With the current developments in the banking sector, there is a huge potential for M&A considering the low valuation of banking stocks and the requirements for some of them to enhance capital requirements. However this time, it is likely to be more of market driven than regulatory. We are likely to see the elements of both, though,” he stated. Oyelere argued: “I think we need to understand the fact that mergers and acquisitions is not a bad thing. It could foster efficiency and reduce regulator risk. The only alternative to mergers and acquisition in time of crisis is bailout by the government, that is if the current economic crisis persists. “The economic headwind is the key factor that may perpetuate natural consolidation in Nigeria’s banking sector. Year 2016 has been very turbulent for the financial sector in general with rising non-performing loans, erosion of public funds from banks’ vaults as a result of quasi implementation of TSA. Cost-cutting strategies are very tempting in this period and banks may explore this option to reduce operational cost. But Chief Executive Officer (CEO) of Cowry Asset Limited, Johnson Chukwu, contended that M & A in the financial services sector is more likely to be between a foreign bank intended to enter into the market newly as against between Nigerian banks. 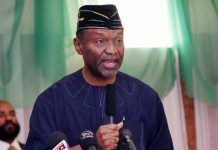 He stated that while the banks were faced with the same challenges, the foreign banks have fared better under the tough operating environment than the Nigerian-owned banks. 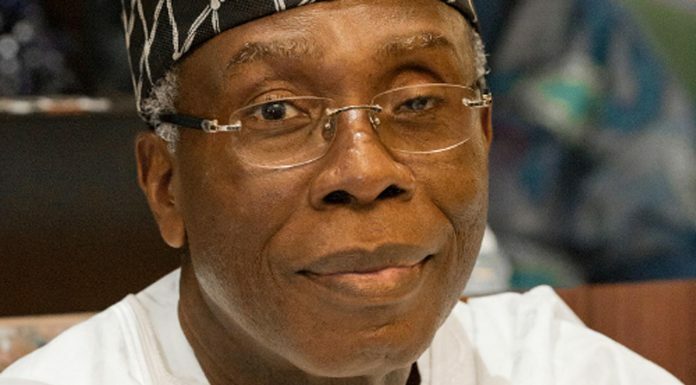 He added that there was still room for new entrants into the sector even with the current challenges, which he noted will not be there forever. 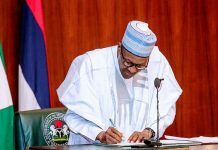 According to him, “The issue of mergers and acquisitions as I see it will be between foreign banks who is making a fresh entry into the country as against between Nigerian banks. All the banks are faced with the same challenges but the foreign banks have weathered the storm better than the Nigerian banks. The reason why mergers and acquisitions take place is for complimentarily reason that does not exist between local banks. “The likelihood is high. The opportunities in the sector have not marginally diminished. Challenges are there, yes, but they won’t be there forever; they will fade away,” he stated.